New Holiday season – open and ready to go. We opened for the 2019 holiday season on the 5th April. With advance bookings and bookings that have come in since the 5th, April and May are filling up fast. The Easter weekend is already full and with only yurt 5 left for the mid-week, so its looking like we are going to be really busy. We are holding holding an Easter egg hunt on the Sunday 21st April for the guests staying with us over the weekend and there are plenty of chocolate eggs to go around (unless I eat them all). There have already been some great reviews left on TripAdvisor by our 1st guests of the year, with hopefully lots more to come. 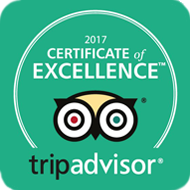 In other news, the yurt site has received a Highly Recommended rating and the Lake House was awarded a 5 Star rating by Visit Wales (the Welsh National Tourism Board), which we are really pleased with. So here is to 2019 which is already looking like its going to be a fantastic year.